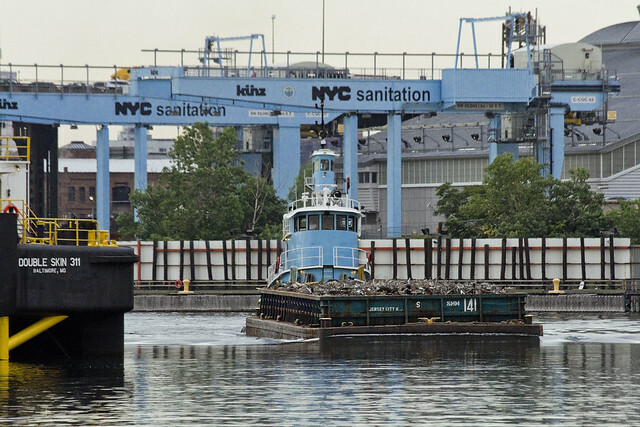 Last week, one was onboard for the Working Harbor Committee’s tour of Gowanus Bay and part of the Gowanus Canal. My pals Joseph Alexiou and Capt. Maggie Flanagan were handling the narration, and I spent most of the trip down on the bow of the NY Waterways Ferry boat shooting. One of the many interesting tableaux encountered included the sudden appearance of DonJon Marine’s Caitlin Ann tug. Caitlin Ann was towing a barge of recyclables, specifically metals. A 1961 vintage, 2,400 HP tug, Caitlin Ann’s story can be best explained by visiting this page at the ever reliable tugboatinformation.com. DonJon is a New Jersey based company, founded in 1964 by a fellow named J. Arnold Witte. 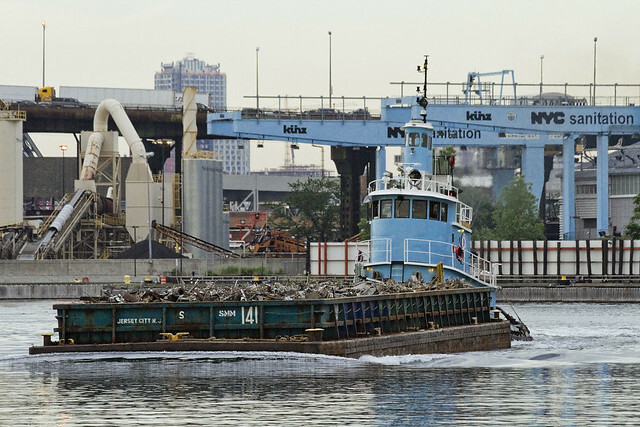 In concurrence with the traditions of the towing industry, their tugs are named after family members. 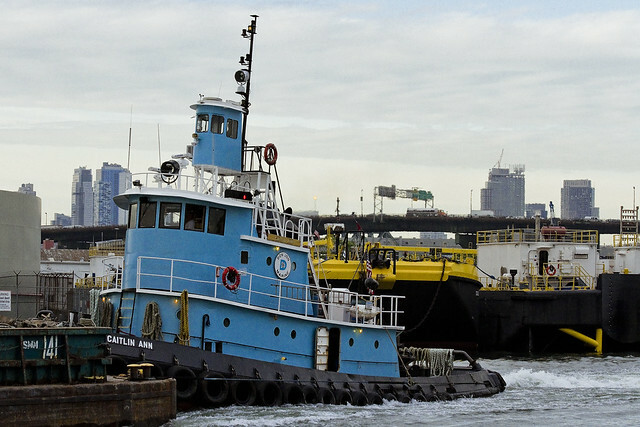 It isn’t limited to just the tug business either, and the company handles all sorts of hauling – including terrestrial tasks like trucking, as well as heavy maritime industrial tasks like dredging and even diving. 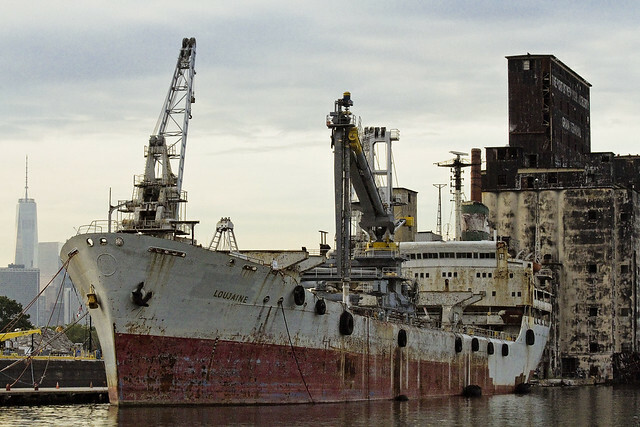 On our way out of Gowanus Bay, I couldn’t help but get a shot of the Abu Loujaine at the Quadrozzi Grain Terminal docks. I wrote about the Loujaine a while back, in this post from January of 2012.